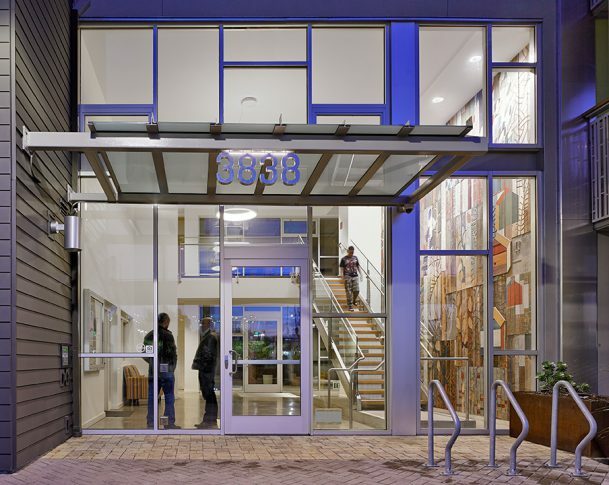 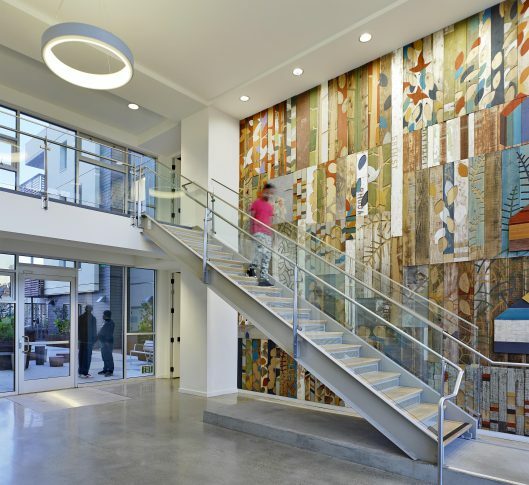 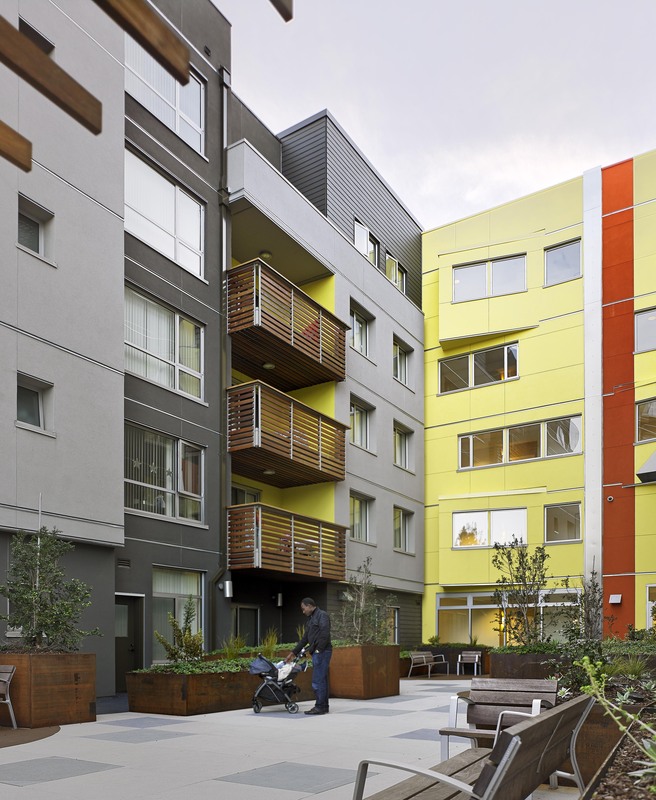 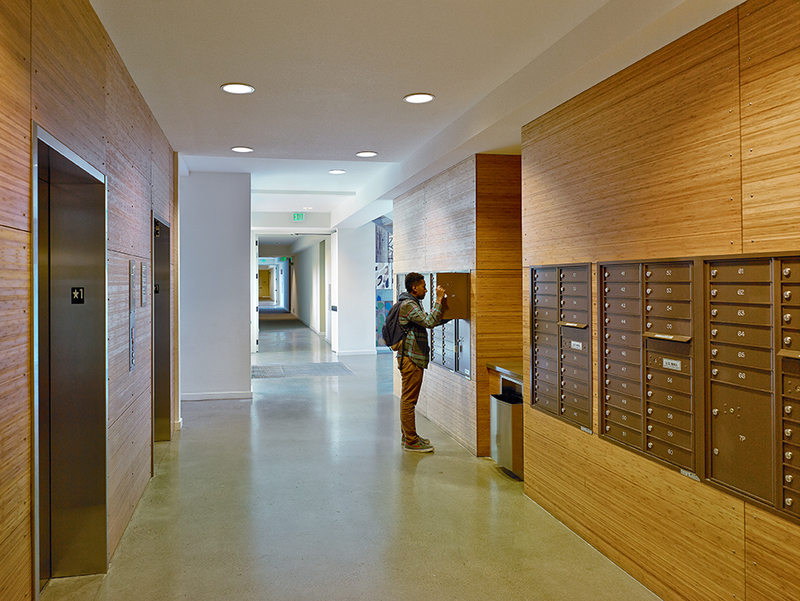 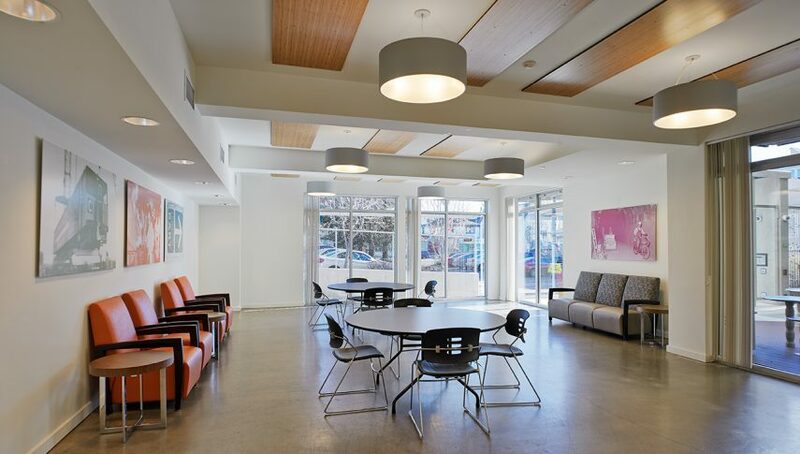 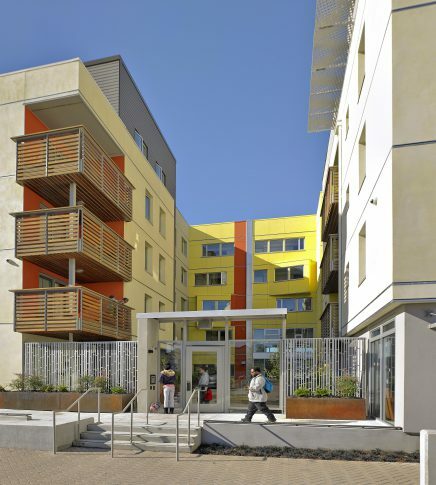 The project provides 90 units of affordable family housing located at the MacArthur BART Station. 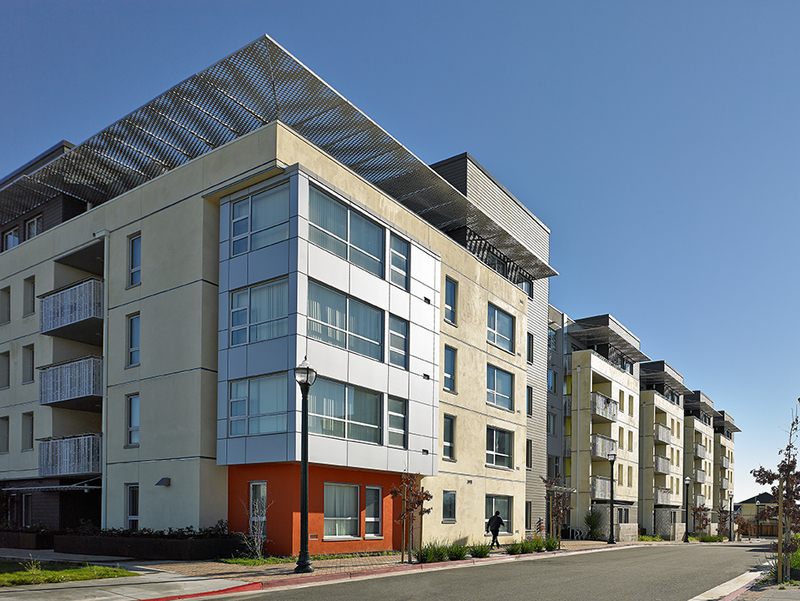 The project occupies Parcel D of the MacArthur Transit Village, which is a master plan to redevelop the existing parking lot into a mixed-use transit oriented development. The project consisted of two studios, 22 one bedroom, 29 two-bedroom, and 37 three-bedroom units and associated common facilities, on a .78 acre site, creating a density of 115 du/acre. The building is five stories of residential type III-A wood framing over a sub-grade concrete parking garage of type I-A construction. 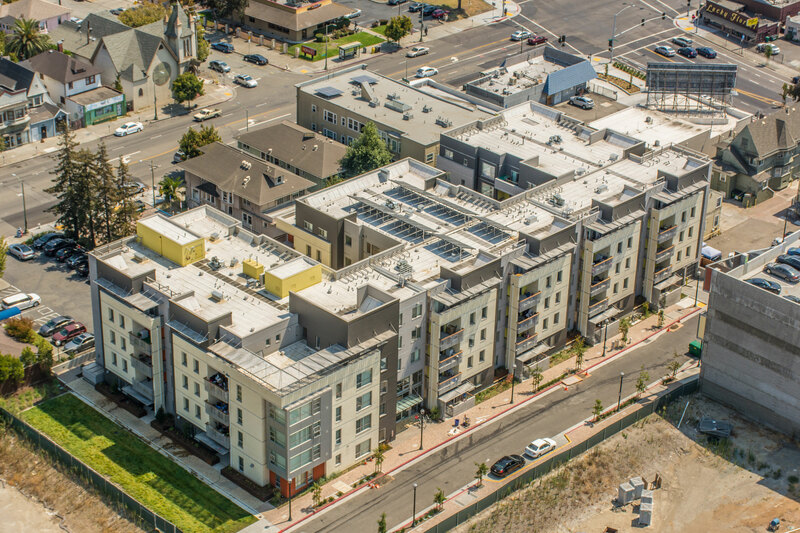 The project is coordinated with the work of the Master Developer for street improvements including miscellaneous offsite work such as sidewalks, landscaping and civil engineering. 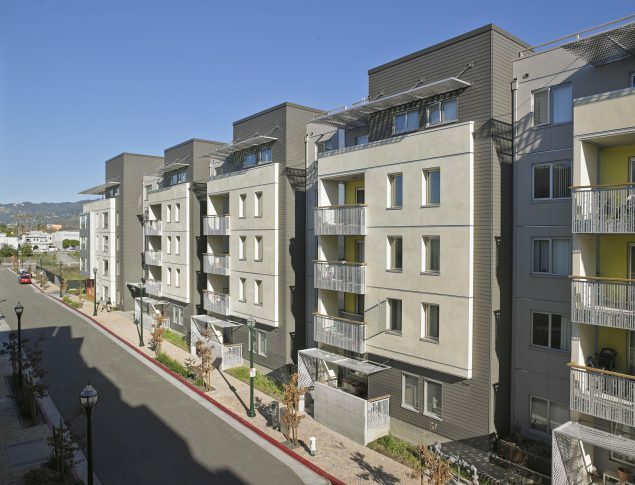 The project is green point rated with a score of 168. A solar thermal domestic hot water system serves 40% of the domestic hot water load, and the project is prewired for future photovoltaic installation.